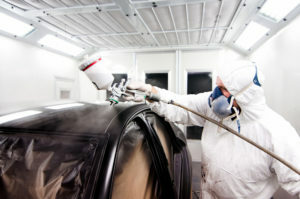 5 Star’s paint department is equipped with a BASF RM Waterborne color system that compliments the talent of our painters. This paint system not only helps protect the environment, but also combines ease of use and durability with superb color matching. Our paint technicians attend ongoing industry training and development, and take extreme pride in the work they perform for each and every customer.